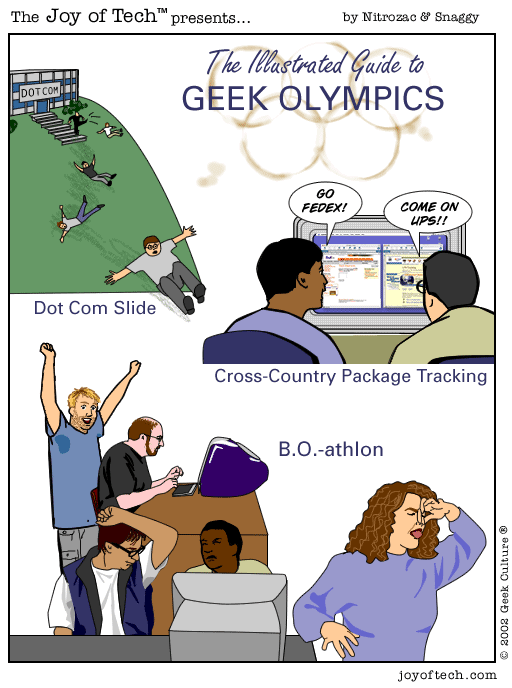 What's your favorite Geek Olympic sport? Aditu has great news about her new Adoption, ... CrawGator never thought he'd be doing this,... Jonathan asks about Lord of The Root again, ... fool6000000001 thinks JoT rocks and pens a epic-sized post about Life , ... and CommanderShroom is Feeling Groovy. And in SuperFan Clubhouse Tidbits: Nitrozac is burnt over a Bread Guy Update , and littlefish is thinking Insanely great.